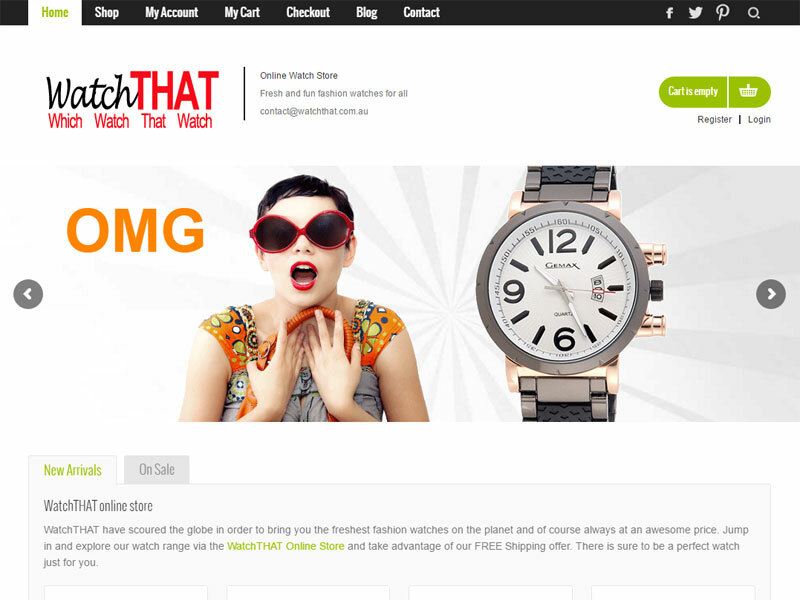 Description: An online watch store with an eCommerce WordPress theme. With the target audience described to us as ‘Fashionistas’ we knew it was going to be a fun site to build. The brief called for a modern, bright and sassy design that would generate a fun shopping experience for it’s visitors. The client had chosen an existing theme which we further developed a good deal ensuring it met all needs and wants of the customer including a secure payment gateway. I think we hit it on the head.